Swim meets are run solely by volunteers--moms, dads, aunts, uncles, brothers and sisters--it's a family affair. 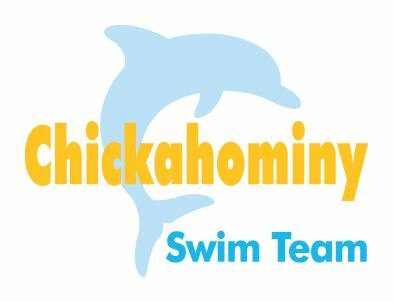 Each CAA swim team family is expected to volunteer; there are no exceptions. Timers--Volunteers who time the swimmer in each lane. There are 3 timers per lane, each with his or her own stop watch. Card Givers--Volunteer is given a stack of cards to be distributed to each swimmer. Mite Parent--Volunteers who help keep the little ones organized, make sure they get where they need to go, etc. Runners--Volunteers collect a card from each swimmer before they dive in and hand the card to the timer. The runner collect the cards after each event and brings them to the head table. They also collect disqualification slips from the judges and take them to the head table. Concessions--At home meets, we need volunteers to staff our concessions stand and collect money for the 50/50 raffle. Assistants to Meet Officials--Volunteers who provide assistance to the Clerk of Course and Head Table officials. These activities include organizing swimmer cards and verifying times. Clerk of Course--Checks in swimmers and puts them in the order they will be swimming. Head table--All the swimmers cards go to the head table after each event. Head table records the times from the card into a computer program and enters disqualifications. Stroke and Turns Judges--Judges swimmers' strokes, dives and finishes. Head Timers--Organizes the timers and keeps extra stop watches. Referee--supervises the strokes and turns judges, makes final decisions as needed. Note: The JRAC schedule of training can be found on our swim team page. Whatever your talents and availability, we have a volunteer slot for you and will work with you however we can. We usually have people volunteer for half a meet, or a whole meet if they want (yes, some do!). When everyone volunteers, we have efficient meets. When our kids see us volunteering, we set a good example for them. So please sign up and volunteer!